September 17, 2013 – Kingston, Jamaica – The latest edition of Grand Theft Auto V (GTA V), one of the most sought after video games worldwide, features a special treat for the contemporary Reggae music aficionado. 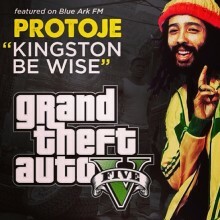 Protoje’s hit single Kingston Be Wise is among the roster of Reggae and Dancehall hits on the GTA V playlist. The game was officially released on September 17, and is forecasted to sell 25 million copies in the first year. “The cultural impact and artistic quality of the game also demonstrates just how far video games have come,” says Richard Wilson, head of games industry trade body Tiga. “[It] clearly shows they are now on a par with film, television and animation, and deserve to be treated as such.” Like any blockbuster film, GTA games have always been accompanied by carefully curated soundtracks; some becoming as acclaimed as the games themselves. Players can choose among 15 radio stations while playing GTA V, one of which is Blue Ark FM hosted by Lee “Scratch” Perry. 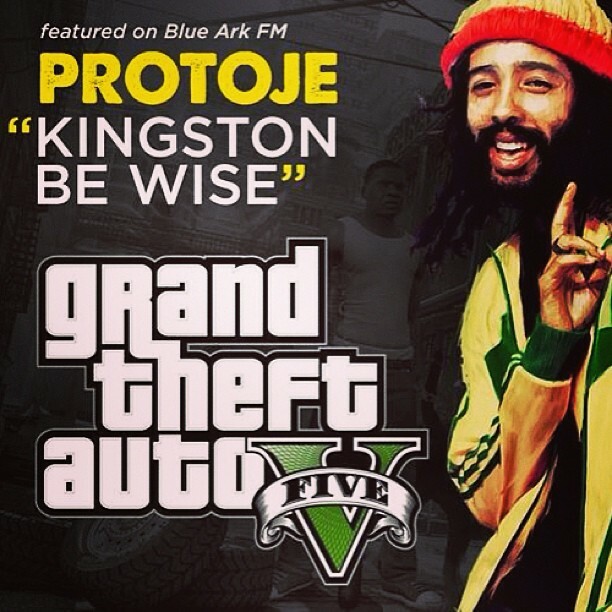 In addition to Kingston Be Wise, Blue Ark FM also features singles by Chronixx and Konshens. The inclusion of contemporary hits like Kingston Be Wise is commendable, given that the majority of GTA V’s Reggae playlist are tracks released before the turn of the 21st century.